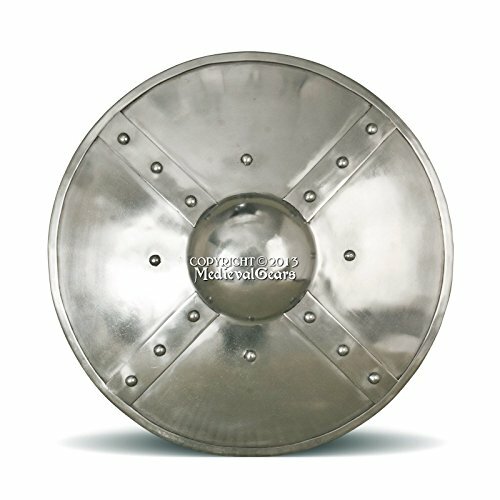 This battle-able Rampant Lion Shield is made of 16 gauge thick steel on the way to give protection to you from poundings in reenactments and tournaments. 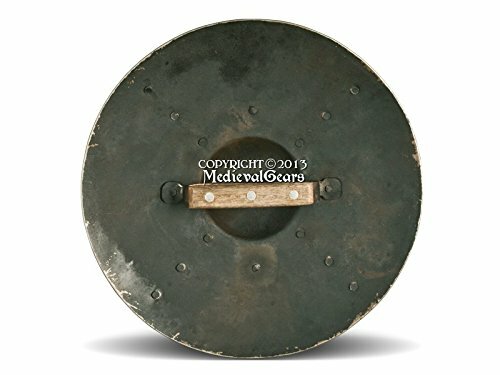 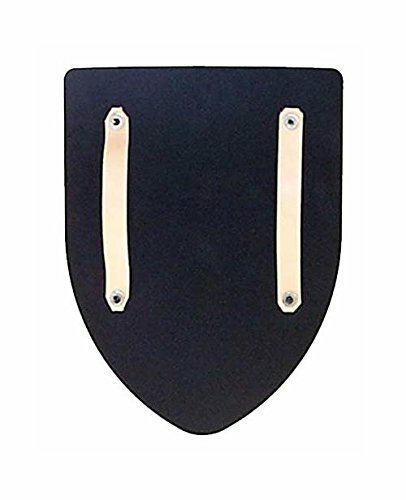 This SCA shield comes with a selection of two 1 1/2 inch genuine thick leather straps already attached so you’ll be able to use it right out of the box (extra charge) or a wall hanging chain. 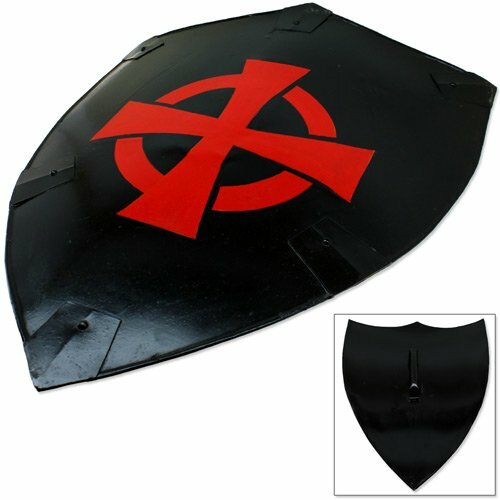 It is hand-painted and coated in polyurethane to give protection to the paint work. 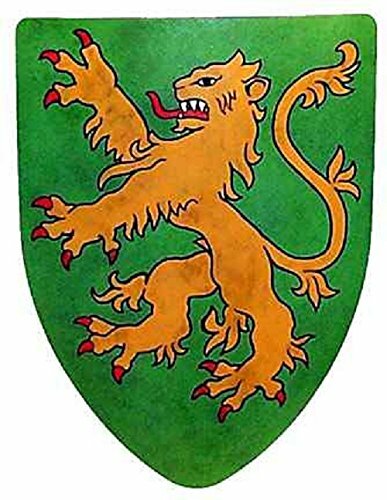 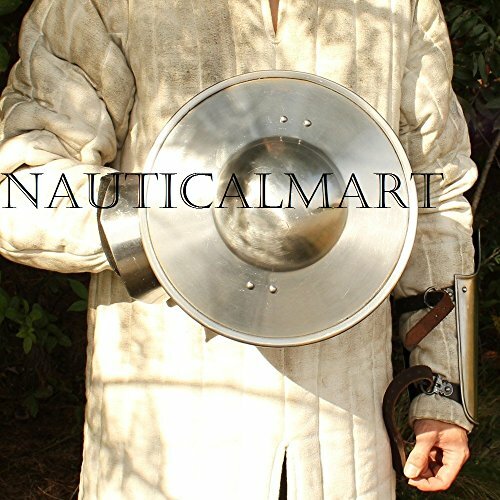 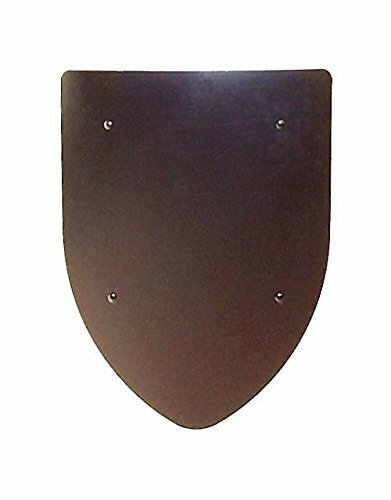 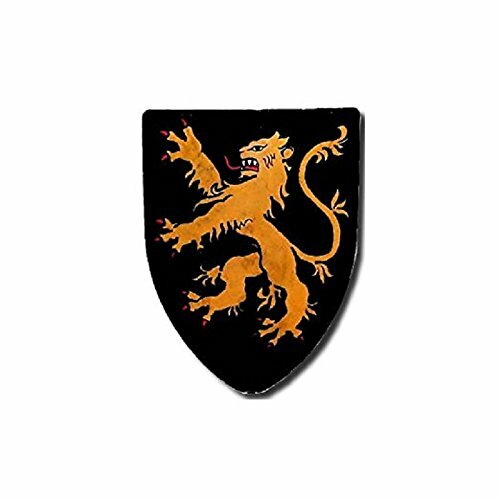 This impressive Rampant Lion combat shield is a classic medieval shield and will fit right in with your event. 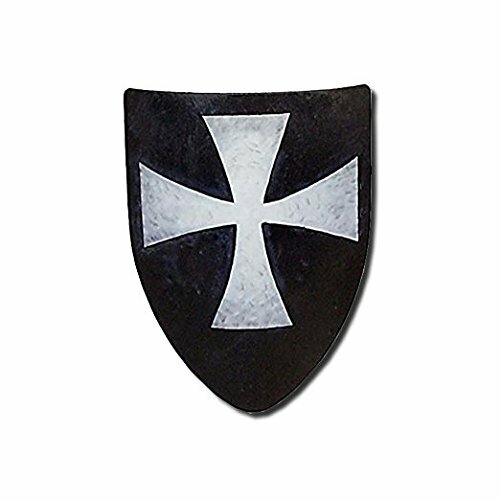 This shield is hand-painted by our skilled artists. 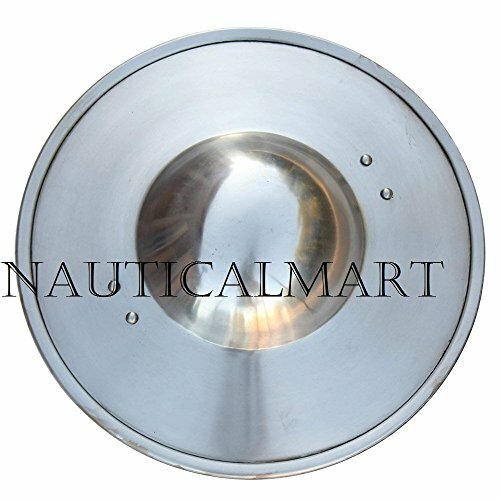 Please allow 10-14 days to ship. 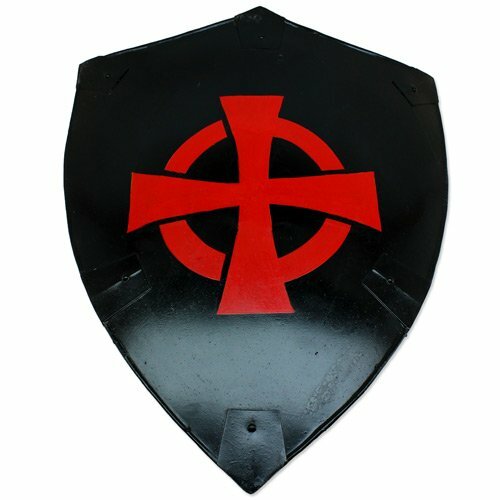 Since this item is hand-painted it is treated as custom work and no returns are accepted. 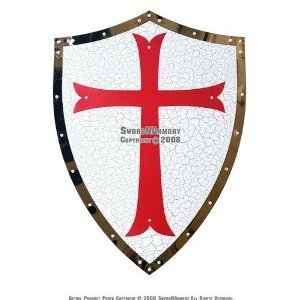 It’s your responsibility to be aware SCA combat rules and regulations. 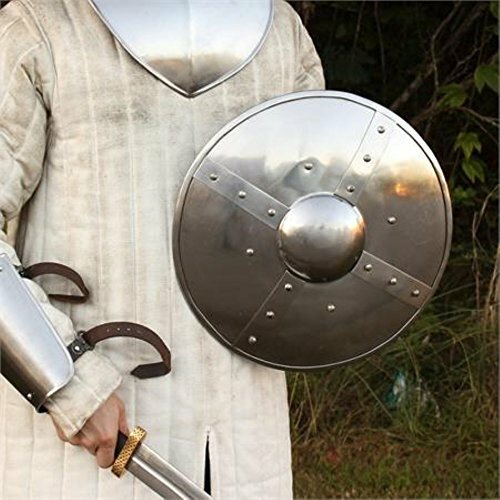 These rules and regulations vary from tournament to tournament and all standards are subject to interpretation by Tournament Marshall. 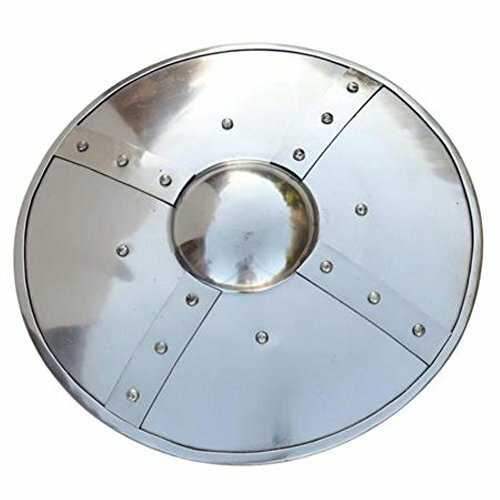 For your own protection, do not use this or every other shield in any combat activity unless it is approved by SCA Officials prior to event.